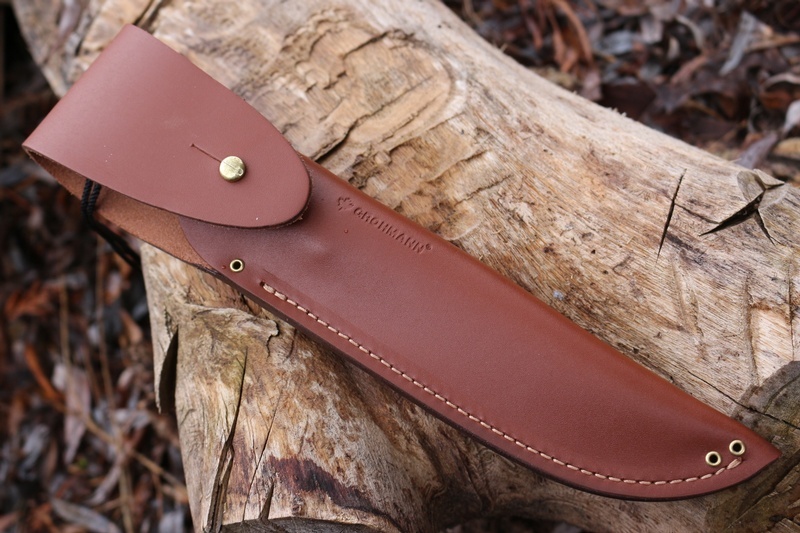 Made in Nova Scotia, Grohmann Knives are a well established and respected maker of knives in Canada. The N04 Survival is a tough strong belt knife, made for the rigours of survival in this Great Country and to provide the able Canadian with a reliable cutting tool for aspects of Camp, Bushcraft, Hunting and Survival uses. 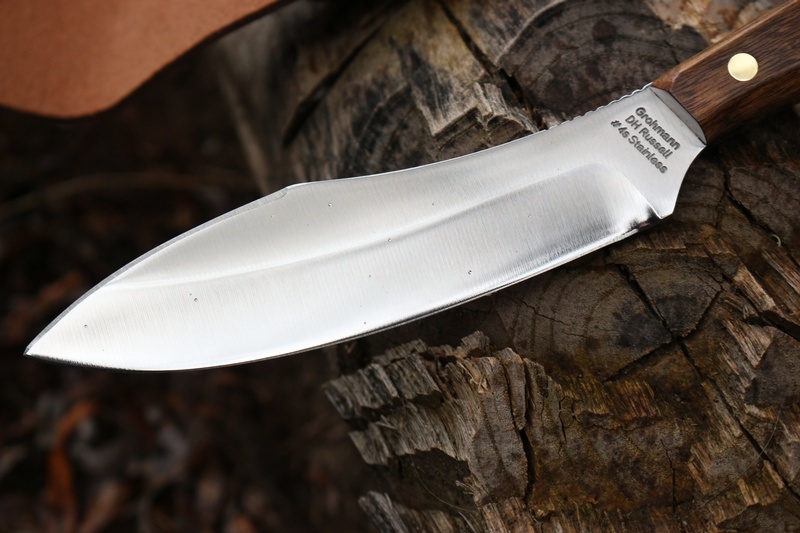 Full broad tang with soild pins and Rosewood slabs, the 3.75mm thick blade is of German 4110 High Carbon Steel stainless, 58HRC. 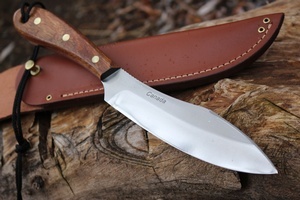 The robust spine is jimped and the blade is an upswept drop point. 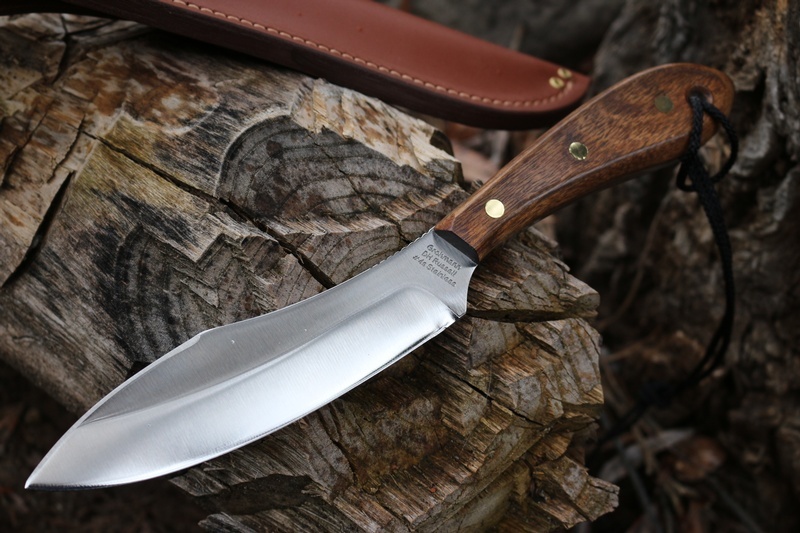 Grind is approx 20deg would work well with these..
Purchase through PayPal by using the "Add To Cart" button above or use the form below to order the Grohmann No4 Survival Knife Stainless . 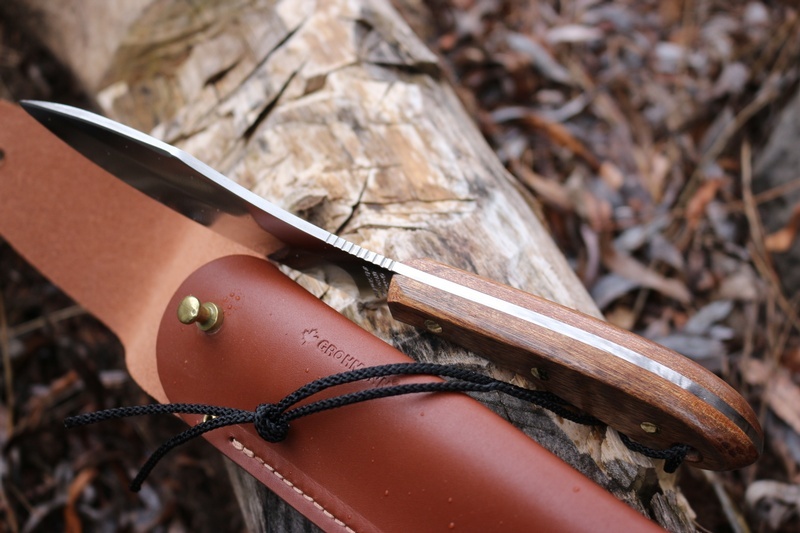 Feel free to contact us if you have any questions about the Grohmann No4 Survival Knife Stainless .